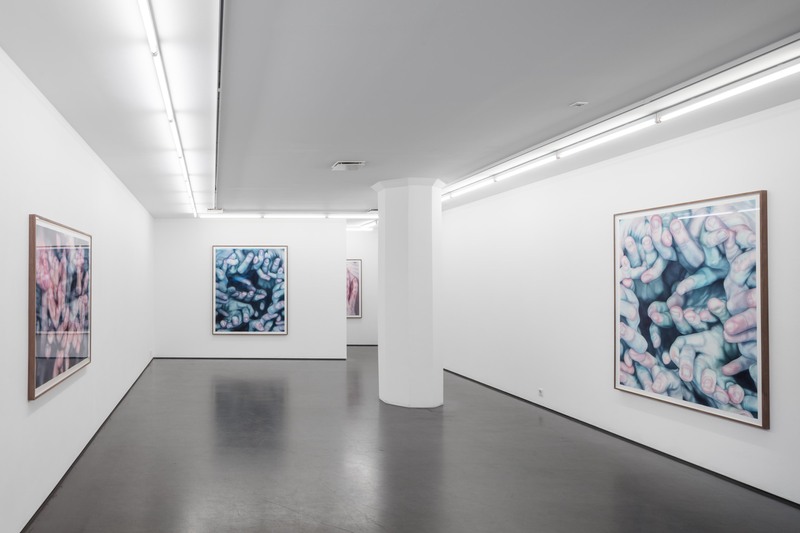 Cecilia Hillström Gallery is pleased to present Martha Ossowska Persson’s first solo exhibition at the gallery. 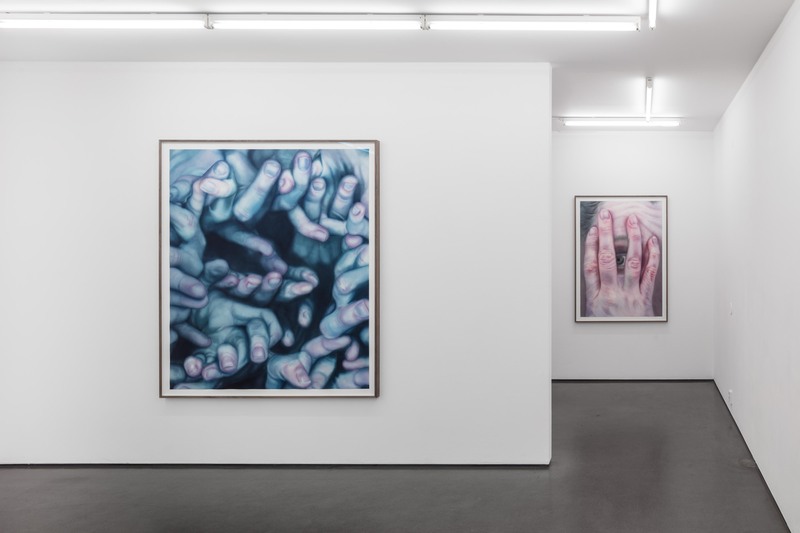 The exhibition Into the Hideous Hidden consists of new large-scale watercolour paintings, where Ossowska Persson has continued to work on her multi-layered exploration of the human body and embedded human behaviours. The exhibition is accompanied by a publication with a text by artist Martin Gustavsson, design by Jonatan Persson and photos by Johan Olsson. Read the text here. Martha Ossowska Persson (b. 1983) holds an MFA from Valand Academy, Gothenburg University (2014) and a BFA from Umeå Academy of Fine Arts. She has also studied architecture at Chalmers University of Technology. Ossowska Persson was awarded the Fredrik Roos Art Grant in 2015 for “her vibrant portrayal of tactile physicalities in an increasingly technological and dehumanised era”. 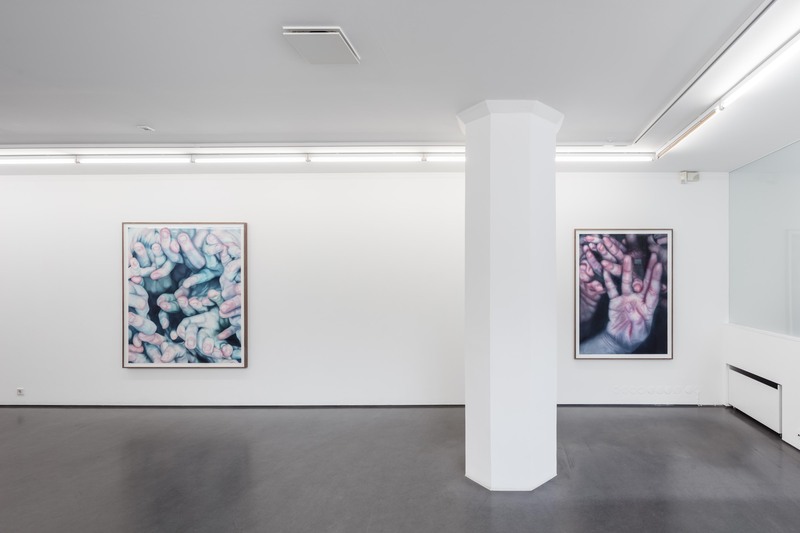 In 2015 her works were shown at Moderna Museet Malmö in connection with the Fredrik Roos Art Grant, and at Cecilia Hillström Gallery in the duo exhibition Splendor in the Touch. She has also exhibited at Strandverket Konsthall, Sven-Harrys konstmuseum and Göteborgs Konsthall. Ossowska Persson is represented in private and corporate collections in Sweden as well as in the collections of Gothenburg Museum of Art, Public Art Agency Sweden and Skellefteå Municipality. Download the artist’s CV as pdf here.